E-commerce has evolved as the more popular and better alternative to the traditional brick and mortar retail. It’s hard to resist the convenience, the special offers, and discounts as well as the wide array of products that e-commerce has in store. But not all is rainbows and the sunshine for every e-commerce business, the competition is getting tougher day by day and diversification of e-commerce store has become essential for long-term sustainability. With so many options online, it’s essential for e-commerce to diversify their offering by expanding their product portfolio. 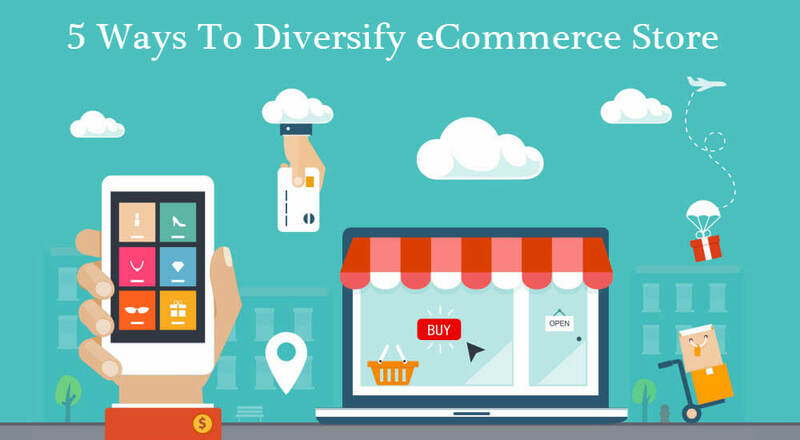 However, its easier said than done, below are few key tips and ways on how to diversify your e-commerce store. Identify your niche and leverage it to the expansion of your online business. As a basic but essential step to expand your e-commerce business, you must know who your customers are, what are their needs and how best to fulfill them. Invest substantial amount of time, money, and effort in researching your market niche, conduct surveys, interviews, focus groups as primary research, and for the secondary research, the online world is brimming with information- collect, collate and analyze the patterns. As an example, health monitoring wearable is an emerging niche, let’s say your market is in India and you wish to open an online store that sells health monitoring wearable. In order to truly identify your customer needs and market opportunity, conduct in-depth research, ask people what they want and what they don’t, and you will come across vital insights such as, affordability factor, as India is still a middle-income country, price sensitivity is an important element that may impact your business. You may also identify B2B customers such as hospitals and clinics as another niche for your business. Learn to overcome marketing myopia and you’ll be able to see opportunities on how to expand e-commerce business in various directions. Marketing myopia is a short-sighted and inward looking approach that focuses on the needs of the company instead of defining the company and its products in terms of the customers’ needs and wants. Put the customer at the forefront and think about ways to serve them better. For instance, Kodak had the myopic view that the company was in the film business rather than the story telling business. They failed to realize that customers aren’t buying cameras and film as much as they are buying a record of their memories. They want to be able to tell their stories and want the quickest, easiest tool to do so. Consequently, the world of cameras evolved to the digital format and the classic film camera went out of business and so did Kodak. So if you’re into e-commerce, don’t think of yourself as merely an online store, you’re selling convenience of shop-from-home and the ability to tap into a wide range of products without having to look for the same outside. In the age of fierce competition in the industry, adopting an Omni-channel marketing strategy is very important. While you diversify your store in terms of the product it’s also important to communicate the same in an effective manner to potential customers. You can learn from the e-commerce giants in the business such as Amazon and Flipchart and Alibaba. Their brands have the presence on almost every marketing channel, whether its newspapers, magazines, and billboards, to all the major Social Media platforms. Build a brand that attracts and spread the message through offline and online marketing and social media marketing for your e-commerce store. As one of the most important ways to diversify e-commerce store and expand your business, learn to establish strategic partnerships. You can land such partnerships with your competitors such as marketing partnerships or partnerships with manufacturers who may want to sell their product via your platform. For instance, recently Microsoft and Indian e-commerce giant, Flipkart entered into a partnership, where Flipkart will adopt Microsoft Azure as its exclusive public cloud platform. 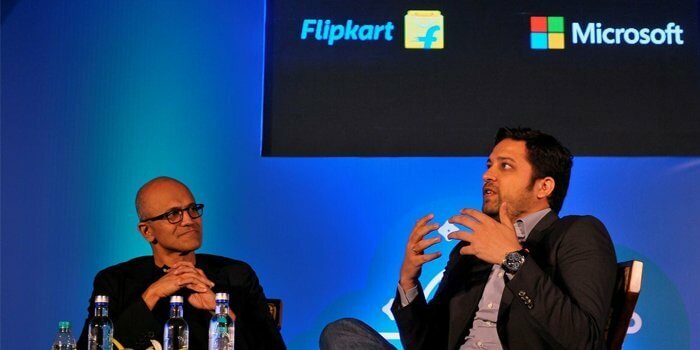 This will enable Flipkart to reach out to more customers and Microsoft to penetrate the Indian market segment. Last but not the least, a key way to diversify and expand your online business is to adopt the drop-ship model (such as Alibaba and Amazon). It is a distribution model where instead of taking the risk of maintaining a huge inventory you partner with suppliers and list their products on your website. Once the purchase has been made, the customer pays you the retail price while you pay the supplier the wholesale, pocketing in the profit. It’s a better option to provide a wider range of product to your customers.